Josef Sudek was Prague's Atget. From the mid-1920s until his death in 1976, Sudek photographed everything--the Gothic and Baroque architecture, the streets and objects--usually leaving the frame free of people. Where Atget photographed the social realities of Paris, Sudek captured a more subjective experience of the city where he was born. 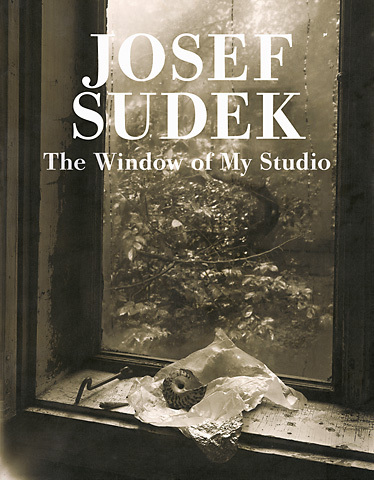 Because he was reclusive, a large portion of Sudek's body of work was captured through his studio window--he was particularly fond of how the glass refracted light. The Window of My Studio series, spanning from the beginning of the Second World War to the first half of the 1950s, has never previously been compiled in one volume. This publication presents the series, which was of fundamental importance to Sudek, for it caused his work to verge even more into a Surreal or Magic Realist style, with blurred images and strong shadows. Photography historian Anna Farova contributes an introduction and an extensive biographical chronology to this volume, which also includes a complete bibliography of portfolios, books and catalogues of Sudek's work, as well as a complete list of his exhibitions--information that is difficult to find elsewhere. The publication has been produced in collaboration with the Art Gallery of Ontario.